San Francisco, California – Arrow Electronics, Inc. (NYSE:ARW) and Indiegogo launched their groundbreaking crowdfund-to-production service, which is aimed at accelerating the pace of innovation for technology and internet of things (IoT) entrepreneurs. 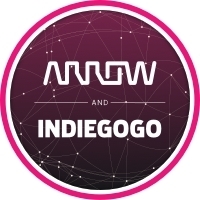 Entrepreneurs can apply for Arrow certification on the Indiegogo platform. Arrow Electronics’ engineers will then analyze the design and manufacturability of each application. Projects deemed “ready for manufacturing” will be denoted with official “Arrow Certified” badges on their Indiegogo campaign site to let potential backers know the project is ready for production. Every “Arrow Certified” campaign on Indiegogo that meets certain eligibility criteria can compete to receive a share of $1 million in flash-funding that Arrow will give away to 20-50 campaigns during the next 12 to 15 months. Click here for full funding details and rules. Arrow and Indiegogo formalized an alliance in May after Indiegogo entrepreneurs had been increasingly turning to Arrow to help transition innovative ideas into successful commercial products. Arrow is now a key component of Indiegogo’s efforts to support the entire product lifecycle for entrepreneurs on the platform. Current and new Indiegogo technology or design campaign entrepreneurs interested in applying to become “Arrow Certified” should visit www.arrow.com/indiegogo. Arrow Electronics is a global provider of products, services and solutions to industrial and commercial users of electronic components and enterprise computing solutions. Arrow serves as a supply channel partner for more than 100,000 original equipment manufacturers, contract manufacturers and commercial customers through a global network of more than 460 locations serving over 85 countries.